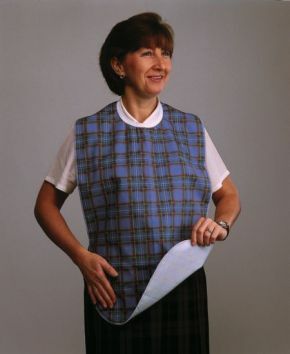 Adult Dining Bib Protects Clothes Against Spills. Made from a lightweight and stain resistant material, the bibs are of a generous size for maximum protection and have an easy to fit Velcro fastening at the back. Really good size, good quality material, fast delivery, just as described.